Eric Murphy’s pick for Lipids this month is "Lipidomic analysis of female mice lacking hepatic lipase and endothelial lipase indicate selective modulation of plasma lipid species" by Yang and others from the Brown Group at the University of Newfoundland in St. John's. "This work shows that although these two lipases hydrolyze many plasma lipids similarly," notes Eric Murphy, "each demonstrates specificity for particular lipid pools and for different combinations of fatty acid species in these pools." In addition, the study shows a previously unobserved potential for phospholipase A2-like activity toward specific ether phospholipids in vivo by endothelial lipase. The article is available for free download through Sept. 15, 2014. Yanbo Yang,Takashi Kuwano, William R. Lagor, Carolyn J. Albert, Siobhan Brenton, Daniel J. Rader, David A. Ford, Robert J. Brown . Lipids. June 2014, Volume 49, Issue 6, pp 505-515 . Hepatic lipase (HL) and endothelial lipase (EL) share overlapping and complementary roles in lipoprotein metabolism. The deletion of HL and EL alleles in mice raises plasma total cholesterol and phospholipid concentrations. However, the influence of HL and EL in vivo on individual molecular species from each class of lipid is not known. We hypothesized that the loss of HL, EL, or both in vivo may affect select molecular species from each class of lipids. To test this hypothesis, we performed lipidomic analyses on plasma and livers from fasted female wild-type, HL-knockout, EL-knockout, and HL/EL-double knockout mice. Overall, the loss of HL, EL, or both resulted in minimal changes to hepatic lipids; however, select species of CE were surprisingly reduced in the livers of mice only lacking EL. The loss of HL, EL, or both reduced the plasma concentrations for select molecular species of triacylglycerol, diacylglycerol, and free fatty acid. On the other hand, the loss of HL, EL, or both raised the plasma concentrations for select molecular species of phosphatidylcholine, cholesteryl ester, diacylglycerol, sphingomyelin, ceramide, plasmanylcholine, and plasmenylcholine. The increased plasma concentration of select ether phospholipids was evident in the absence of EL, thus suggesting that EL might exhibit a phospholipase A2 activity. Using recombinant EL, we showed that it could hydrolyse the artificial phospholipase A2 substrate 4-nitro-3-(octanoyloxy)benzoic acid. In summary, our study shows for the first time the influence of HL and EL on individual molecular species of several classes of lipids in vivo using lipidomic methods. The July/August issue of AOCS' member magazine Inform features two articles on advances in biodiesel technology that we have opened up to the public. 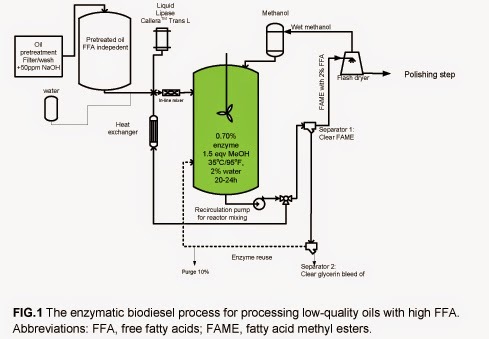 First, a new lipase makes it possible to produce biodiesel from oils of widely varying quality regardless of their free fatty acid content. It has already been used in full-scale production at a traditional and a greenfield plant, and the enzymatic biodiesel application is expected to be commercially available later this year. The second free article looks at how innovative solid catalysts are opening new opportunities in the biodiesel market. Among other advantages, solid catalysts enable the blending of feedstocks to achieve optimal cold-flow properties in the final product at a low raw material cost. The scientists who developed the advances recently shared the details with AOCS’ Inform magazine. We hope you enjoy these two articles, which also include process schematics, testing data, and graphics of catalyst performance. DANVERS, MASS., July 10, 2014 – Unique executive level offerings, including a pre-conference short course on succeeding in international business, round out a comprehensive agenda designed for those across the ag value chain at the third annual Women in Agribusiness Summit, which will take place this October 6-8 in New Orleans, La., at the Hyatt Regency. These goals will be presented in two sessions: Key Factors Linked to International Business Success and Formulating and Implementing Successful Strategies Internationally. The short course, which will be followed by a private networking lunch, will provide examples, tools and frameworks to help executives gain success when dealing with the emerging challenges associated with international competition in agribusiness. This year’s Summit also includes a new executive track on day two, which offers sessions that cover Getting the Most Out of Your Team, Landing a Board Position and Preparing for Your Next Position. Additionally, much insight can be gained from the Executive Roundtable discussion, moderated by a panel of outstanding women in ag from Syngenta, Faegre Baker Daniels LLP and CHS Inc. This closing Summit session includes an intimate conversation about these executives’ unique pathways to leadership, providing concrete and inspiring advice to all Summit delegates. Registration for the Executive Short Course, which is open only to those in senior or executive level positions, is now open at http://goo.gl/E3UeH7. The cost is $250 (use code: PR4WIA-14 for a 10% discount) and Summit registration is not required to attend this short course. More than 500 attendees are expected at this year’s Women in Agribusiness Summit, whose goal is twofold: to make the agriculture and food sectors career destinations for today's talented women, and to provide tools for women to become more informed leaders in the sector. Visit www.womeninag.com for detailed event information. 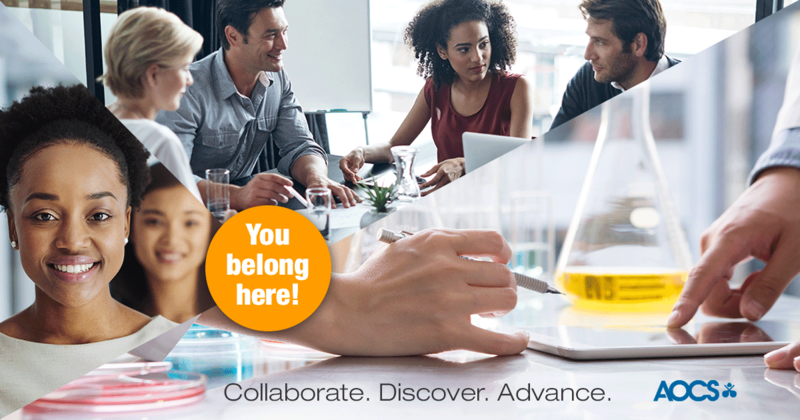 Follow us @Womeninagri, like us on Facebook, join our Linkedin Group.